The square format Plexi is designed for those who want to give their home an ultra-trendy look. With its original format and ultra-brilliant material, your square photo on Plexi will catch everyone's eye with its deep and dazzling colours. We offer several special frames for your creations. For example, you can use the special "Polaroid" frame to create a giant polaroid... Make an impact! The square format also lends itself readily to the Pop Art effect for a bold colour splash. 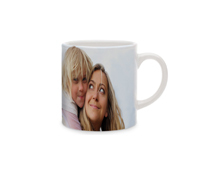 This luxury medium is a popular choice among professional photographers.